I live in Canada and I was pleasantly surprised with how fast it was delivered. I was very impressed with the quality of the tent bag and the tent itself. WOW! What a dream tent! It does take time to put up, but that's expected. The steel frame is beyond sturdy and the fabric of the tent feels so durable. I love the division of a screen house in the front, with the dual mesh/fabric door for the living space. I absolutely love the bedrooms with the dividers. My son loves having his own space now. I am definitely going to be the envy of the campsites! I wish Outwell had a location in Canada, as I am truly now an Outwell Fan! Great product and quick Delivery. I only wish your company wasn't so far, as I would order more items. But I got killed with custom charges on this tent. Thank you! 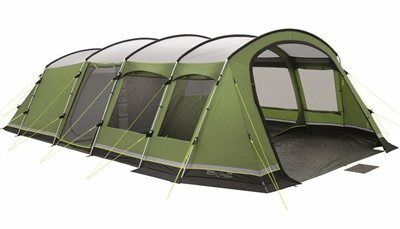 This is a great tent, in a good quality as Outwell tents are. Looking forward to use it in France this Summer 2019.